I don't have a smartphone . ok, technically I do have one, but it's an old Firefox OS based one with no security updates, and I could never bring myself to trust it with my email and other personal data even when it was new, so it doesn't really count. 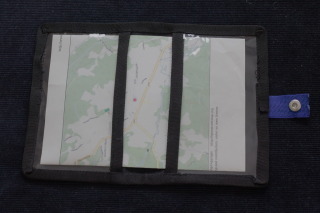 When travelling by train, this has the consequence that I need to carry a printout of my ticket, as I can't just show the PDF on my phone (showing it on a laptop is a possibility, just not one I want to rely on, especially in those few stations where one has to show their ticket before approaching the platforms — or in the cases where I need a reminder of where my reservation is). I used to put them in a plastic envelope, which works fine to keep the tickets legible, but tend to disintegrate after a couple of uses, which is pretty wasteful. In my special “fabric” stash, however, I have a bit of PVC window material for MYOG projects, and one day I decided I wanted something more long lived for my next trip, with sturdy fabric on the outside. 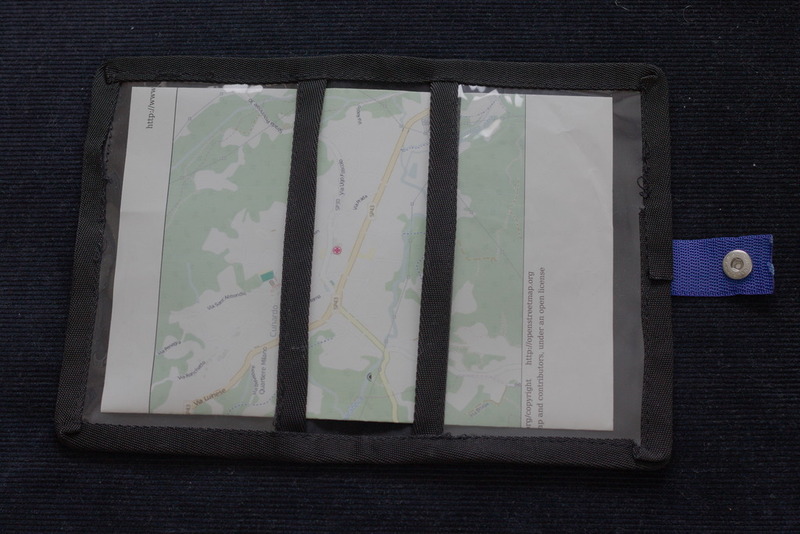 This is my first attempt, done in a hurry (and it shows), but I've already been using it multiple times for train tickets, but also maps , knitting patterns and basically anything that can be folded to A5 size. one day I will have a device that runs debian, can be trusted with personal data and comes with a GPS. For the time being, I'm still stuck with a combination of a badly aging OpenMoko and printouts. 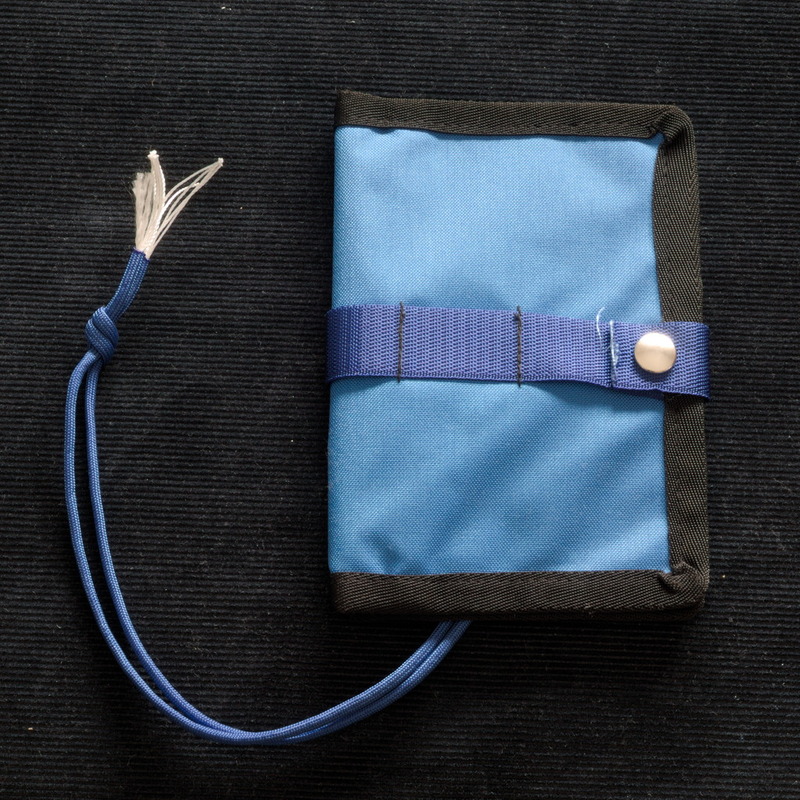 This sleeve is B5 sized, to fit A5 (or A4 folded in half) sheets. 1 meter paracord to make a handle. Cut the fabric and the PVC, cut the PVC in two rectanges, 10 cm x 17.5 cm each. 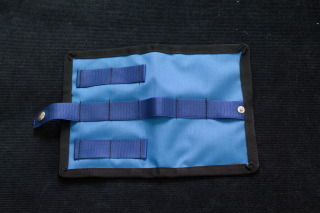 Cut the webbing, heat seal the raw edges and attach the press fastener to the longest strip. Sew the webbing to the strong fabric using the pattern as a reference; remember to leave some ease where the middle fold will be; all other seams are spaced 4 cm from each other to be compatible with the MOLLE system. Bind one long edge on each PVC rectangle. Place the lining on the strong fabric, wrong sides together, and zigzag all edges. Place the PVC on the lining side and bind all around to finish the assembly, starting from the right short side (the one that will be covered by webbing. 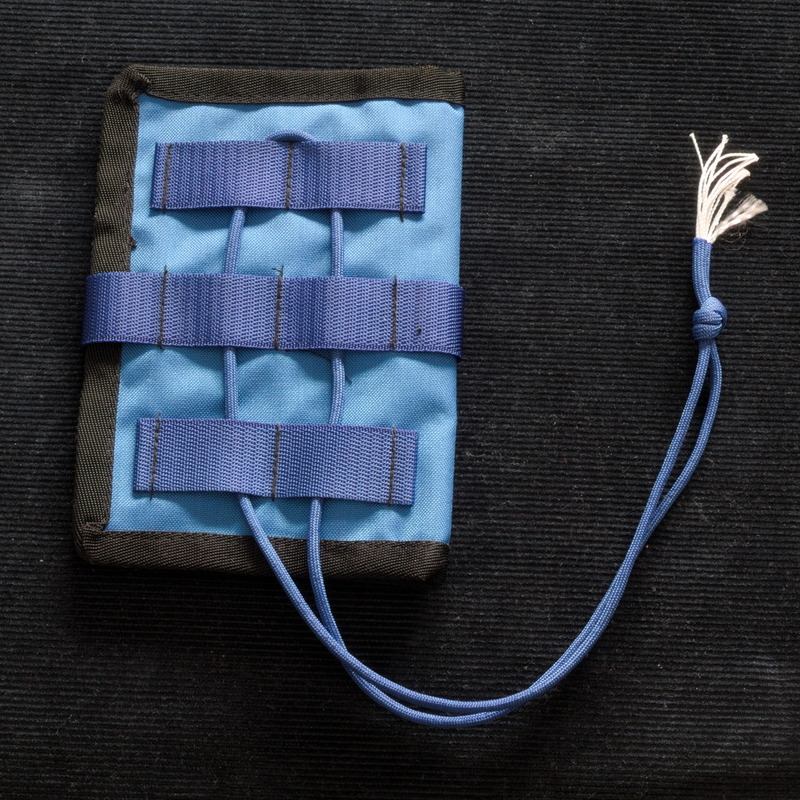 Thread the paracord in the webbing and close it with an overhand knot to make a handle.